Tesla is taking to the streets to demonstrate their clean technology. 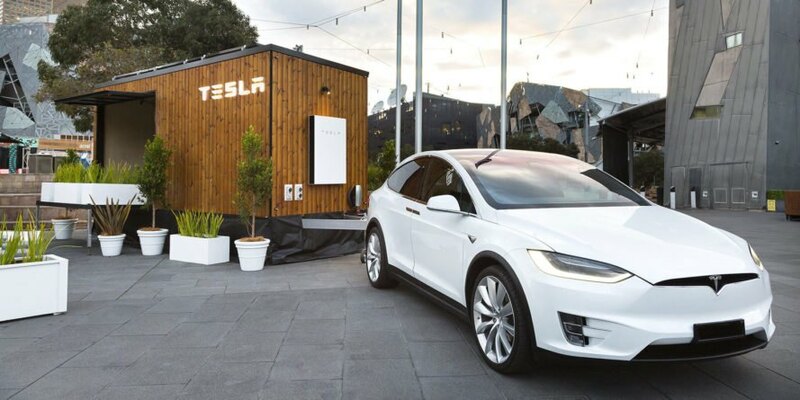 In Australia, a Model X is pulling around a tiny house with a solar system and a Powerwall, giving the curious a chance to check out Tesla’s technology in action. Electrek shared some stunning images of the tiny house, which serves as a mobile design studio in major Australian cities. 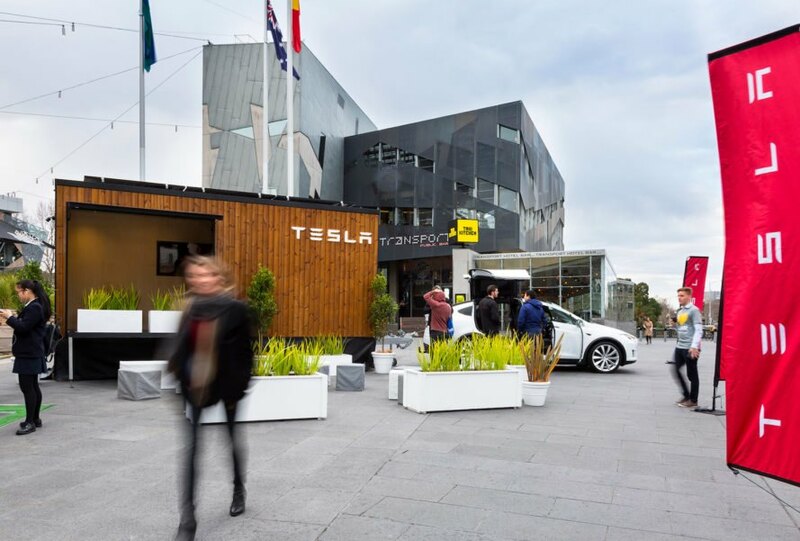 The Tesla Tiny House is incredibly eye-catching: clad in sustainable, locally-sourced chemical-free timber, the rolling design studio gives locals an up-close look at Tesla’s renewable wares. The Tiny House measuring 20x7x13 feet is outfitted with a 2 kW photovoltaic system with six panels. There’s also a Tesla Powerwall on the home’s exterior. According to Electrek, Australia is a key market for Tesla’s products: 1.5 million households in the country have solar for the highest per capita penetration of rooftop solar power in the world. Tesla is touring Australia with a tiny house. The Tesla Tiny House serves as a mobile design studio. People can check out Tesla's solar systems and Powerwall at the tiny house. 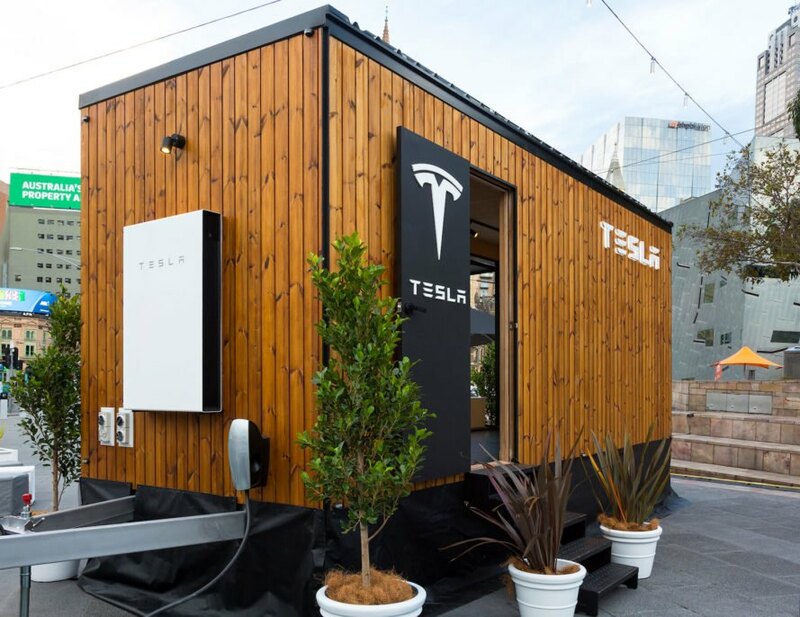 The Tesla Tiny House has stops planned for cities like Sydney and Brisbane.